If you're looking for somewhere to eat in Belfast, whether for work, play or simple culinary pleasure, you must sample what we have on offer. Whether it's our brasserie or homegrown and local menu, we're proud to consider it Northern Ireland's finest. Have you got Google Earth on your computer? If so, then download the Google Earth Map of Malmaison Brasserie. 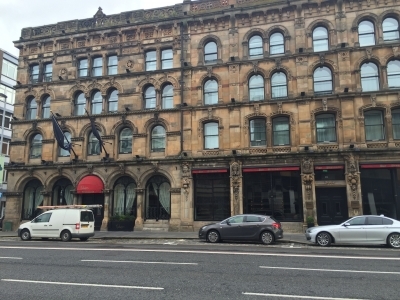 Is this the wrong position for Malmaison Brasserie? If you think so, then modify its position.